Some Harvard Law School students plan to hand out buttons over the weekend in support of the woman who has accused Trump's Supreme Court nominee Brett Kavanaugh of sexual assault. 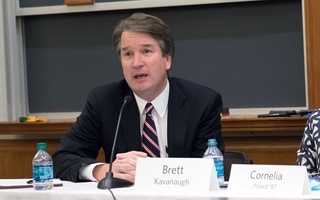 With Supreme Court nominee Brett Kavanaugh set to face a high-stakes Senate Judiciary Committee hearing Monday, Harvard Law School students are organizing to stand in solidarity with Christine Blasey Ford, the California professor who has accused the judge of sexually assaulting her three decades ago. 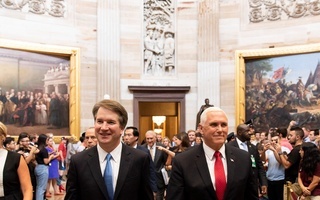 The accusations transformed what previously seemed an all-but-certain confirmation into a dramatic showdown that has evoked comparisons to the Anita Hill hearings in the 1990s. Hill testified that Supreme Court Justice Clarence Thomas, then a nominee, had sexually harassed her in widely publicized hearings before members of Congress. Two decades later, history seems to be repeating itself in eerie fashion. Ford, who originally sent a confidential letter to U.S. Senator Dianne Feinstein detailing the allegations over the summer, went public with her story Sunday after details of the letter leaked. Ford told the Washington Post that Kavanaugh — "stumbling drunk" at the time, Ford alleges — pinned her to a bed and groped her a party in the 1980s, when both were high school students in the suburbs of Washington, D.C. Ford says Kavanaugh pushed his body against hers and attempted to pull off her clothing and that, when she sought to scream for help, he put his hand over her mouth. Ford, now a 51-year-old research psychologist at Palo Alto University who is widely published in her field, says she was able to escape after a friend of Kavanaugh's jumped on the bed and dislodged all three. The Senate Judiciary Committee had originally planned to vote on Kavanaugh’s nomination this week, but moved the vote back four days after Ford put her name to the allegations. Ford has said through her lawyers that she believes the FBI should investigate Kavanaugh before she testifies. Kavanaugh has categorically denied her allegations, and he has committed to testifying at the upcoming Senate hearing Monday. Ford’s allegations, and Kavanaugh’s denial, pit her words against his — a common occurrence in situations of alleged sexual assault. Women and activists around the country have lined up behind Ford, calling on the Senate and the public to consider her account. At Harvard, student activists are doing likewise. They plan to distribute buttons reading "I Believe Christine Blasey Ford" this weekend and they have set up a public viewing of the hearing on campus Monday. Members of the Pipeline Parity Project, a student group whose mission is “to end harassment and discrimination in the legal profession,” will hand out the buttons to passersby in Cambridge. 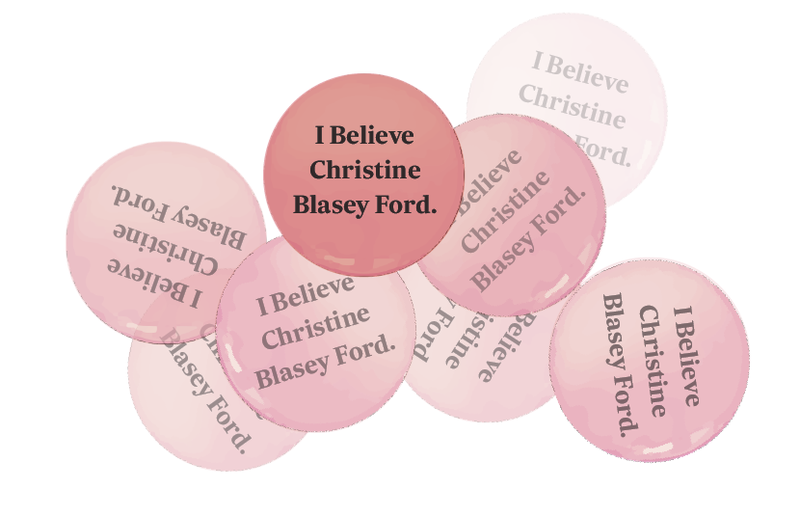 The message — "I Believe Christine Blasey Ford” — references the “I Believe Anita Hill” buttons that Hill's supporters wore during the 1991 hearings. Pipeline Parity said they have ordered 300 buttons total. 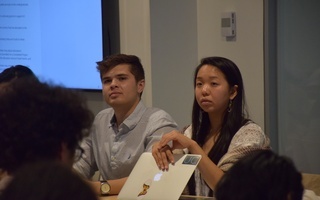 Members of the Harvard Law Students for Reproductive Justice is co-sponsoring the viewing of the Kavanaugh hearing on Monday along with the American Constitution Society and Pipeline Parity. The trio plans to televise the hearing at the Lewis Building on the Law School campus. 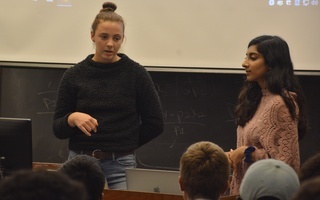 Sejal Singh, a second-year Law student and member of the Pipeline Parity Project, said in an interview Wednesday that the group decided to stand with Ford — and against Kavanaugh’s confirmation — on Monday because of the nominee's record and the impact he could have on multiple areas of the law, should he be confirmed to the Supreme Court. “We are concerned about the impact Kavanaugh, based on his record and based on these credible allegations from Dr. Ford, would have on the law, around civil rights, sexual harassment, women’s place in public life, and a whole host of other things,” Singh said. 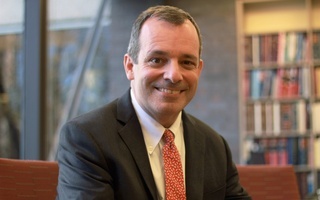 Third-year Law student and member of the Pipeline Parity Project Yaacov “Jake” Meiseles urged American citizens not to underestimate the impact of Kavanaugh's successful nomination to the Court.